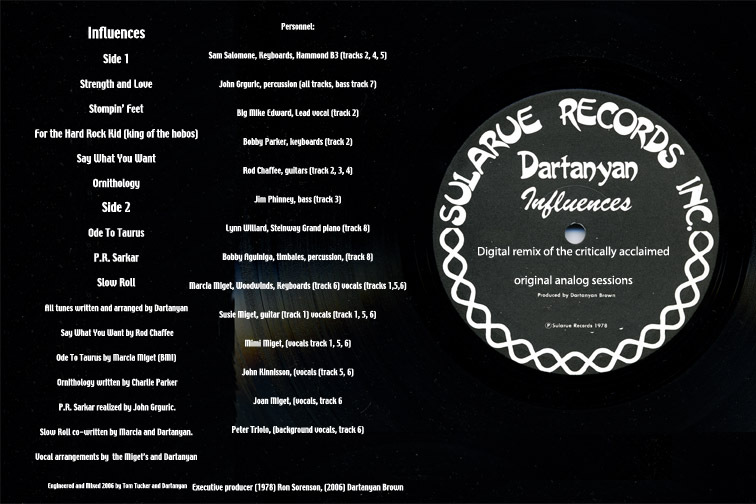 As of January 2015, you may purchase Dartanyan's music with your credit or debit card. Its secure and as easy as pressing the "buy" button below. 2. Put your check in the mail. 3. We'll email username/password for the download directory to you or send your CDs via express shipping. The tracks that I'm now offering are done with the complete approval of the Chase family and Cha-Bil music. They will see a portion of the proceeds from each sale I make. They deserve it; it's about time and I'm very proud to be able to create a modest opportunity to pay respect to a man who gave me an opportunity to improve myself and see the world. Special thanks to Linda Chase, and the loved ones and families of Wally Yohn, Walter Clark and John Emma. Chase fans, you'll be glad you did this.